Are you looking to buy your home in Orange County? The home-buying process can take up to six months, a year, or even longer. Wouldn’t it be nice to finally own your home as soon as possible? Here are some tips to how you can buy your dream home faster and smarter. 1. What type of home am I looking for? 2. Do I have a good enough credit score to buy a home? 3. Do I have any debt that can potentially affect my home-buying process? 4. Do I qualify for a mortgage? 5. What type of mortgage would best suit me? Answering these questions will allow you to assess whether you are ready to begin and go through the home-buying process as well as understand what bumps might come into the road. Once you have the answers for these questions, you are ready to begin the home-buying process. Once you know what you are looking for in your home search, being tracking down new listings that meet the needs and wants you have for your dream home. You can even sign up for automated emails with your local agent to stay on top of all the listings that pop up and fit your needs. Being on top of new listings is a good strategy for having an edge over other buyers because it shows sellers that you are able to potentially make an offer before another buyer sees the listing. Did you know that homebuyers could qualify for over 2,200 different down payment assistance programs that are offered nationwide? These assistance programs were created to help homebuyers by providing low-interest loans, grants, and tax credits. Homebuyers who sought out down payment assistance in the past have saved an average of $17,766 between upfront savings and lower mortgage payments throughout the life of their loan. Homebuyers can become eligible for down payment assistance by meeting requirements such as income, occupation, or credit. Closing times for the home-buying process nowadays are getting longer and longer. A recent report by Ellie Mae, a software company that processes almost a quarter of U.S. mortgage applications, revealed that it now takes 50 days on average for a buyer to reach closing while it took 40 days in 2015. In order to close faster in the home-buying process, make sure your finances are in order by getting pre-approved for a home loan before submitting an offer on a property. This is why it is important to assess your finances and financial capabilities before starting the home-buying process. A mortgage pre-approval involves a lender running a credit check and verifying a buyer’s income and assets. 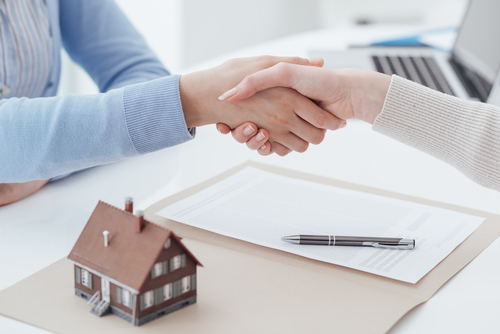 The home-buying process may seem difficult, but it is possible to get through it quickly and smoothly. If you have any questions or if you need any help, contact us today!